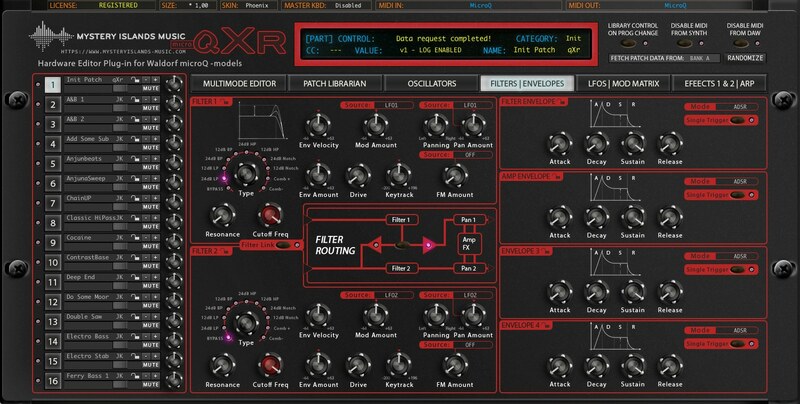 Good news to all of our Waldorf microQxR Editor fans! 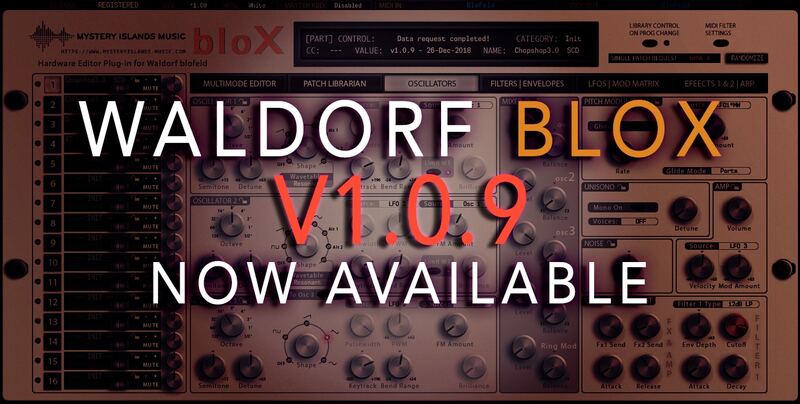 We have updated the plug-in to version 1.0.0 which means: Blofeld import is here! You can now drag and drop blofeld sound banks to /User/Documents/Mystery Islands Music/Waldorf microQxR Editor/Patches folder and use presets designed in Blofeld with microQ! Yes! Librarian can now handle Patch files which contains multiple patches. Original Bank will be moved to /User/Documents/Mystery Islands Music/Waldorf microQxR Editor/Converted Banks/ after the conversion is done. Note that if bank contains Multi Files as well, they can be viewed only when Librarian is in Multi File Mode. Plug-in can now read Blofeld Patch files. User can now drag’n’drop any Blofeld patch banks to /User/Documents/Mystery Islands Music/Waldorf microQxR Editor/Patches/ folder and they will be converted to microQxR format & original file will be moved to folder mentioned above. 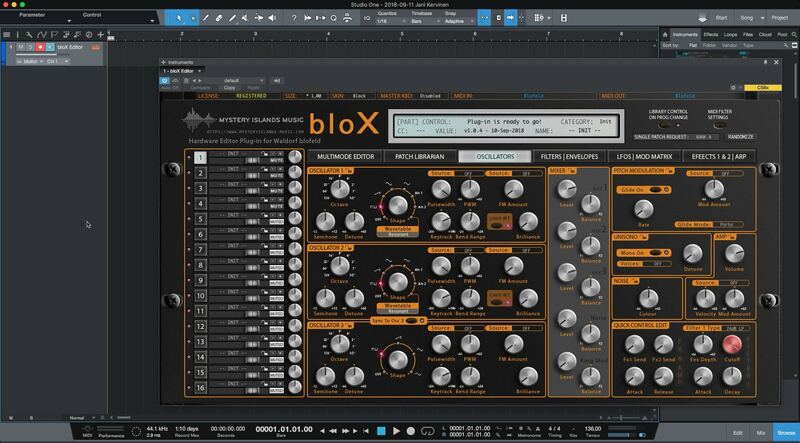 Note that patches created with Blofeld will not sound the same with microQ as there are different waveforms and modulation capabilities in Blofeld vs microQ. Fixed issues where Requesting full bank of Single / Multi files did not work as expected. Fixed issue where Filter, Amp, Env 3 and Env 4 did not send / receive their data properly when values were changed. Included all the FX parameters to show values on the plug-in display, like they are shown in the hardware. Filter Link added. Now if LINK is toggled on, Filter knobs will move dynamically, like they do in the hardware. Phoenix Skin has deeper RED colour now. Overall adjustments to colour schemes. Fixed typo in Bybass → Bypass on all Effects and Filters. Amp Mod Source and many other parameters now display the value changes in the plug-in LCD. If you would like to follow our work and keep an eye on the change logs, you can view it here. If you find issues with this version, please leave a support request / bug report here. Roland JP-80×0 update, Waldorf qXr update, Waldorf bloX beta RC1 & pre-order will be available this week. We will extend the pre-order time for bloX once we are ready to publish it. 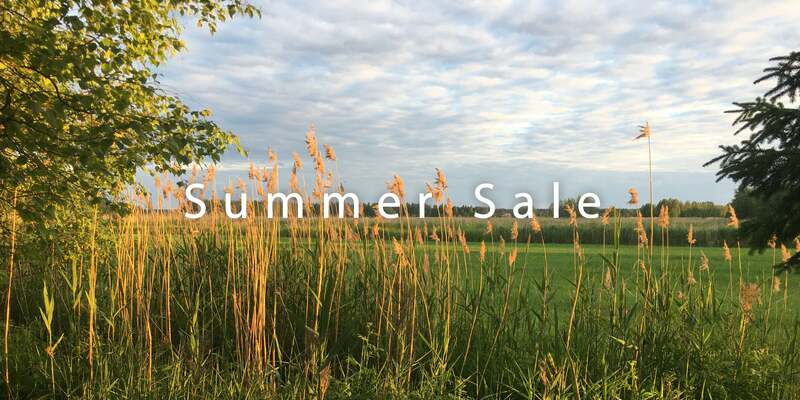 Celebrating the summer of 2017, we have launched a summer sale deal for everyone. During this July and mid August, all our products can be purchased with a -33% discount!